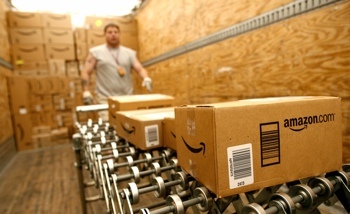 Online e-tailer giant Amazon announced today that it will be expanding its Sunday delivery partnership with the U.S. Postal Service to 15 more American cities. There is no extra cost for Sunday delivery, and there’s no specific option to request it on the site. It simply happens – if your Amazon package is ready to be delivered on a Sunday instead of Monday, it will be. Amazon Prime members can get packages delivered on Sunday by requesting free two-day shipping on Friday. If your hometown isn’t on the Sunday delivery list yet, just wait. Amazon and the USPS expect to roll out the service to “a large portion of the U.S. population” later this year. I’ve been wondering why I’ve been getting mail from amazon on Sundays. I called it “hush hush mail” thinking I was special haha.